A garage is often regarded as an area for parking the car, doing all types of repairs, storing unused stuff, and the like. It is used so much for all things hard and dirty that it is almost impossible to make it look good at times. 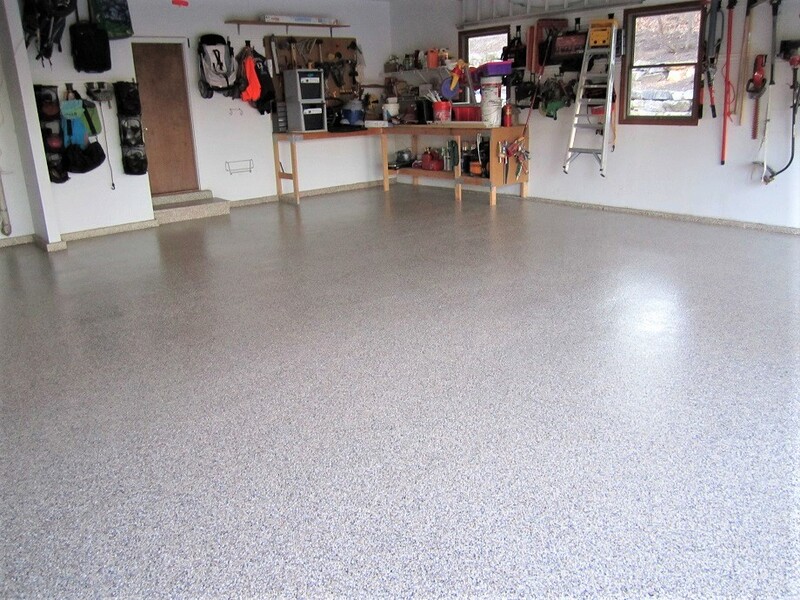 However, recent innovation in the concrete industry produced highly decorative garage floor coatings that can be as stunning as it is tough. You may be thinking that if it is that good, it must cost a lot. 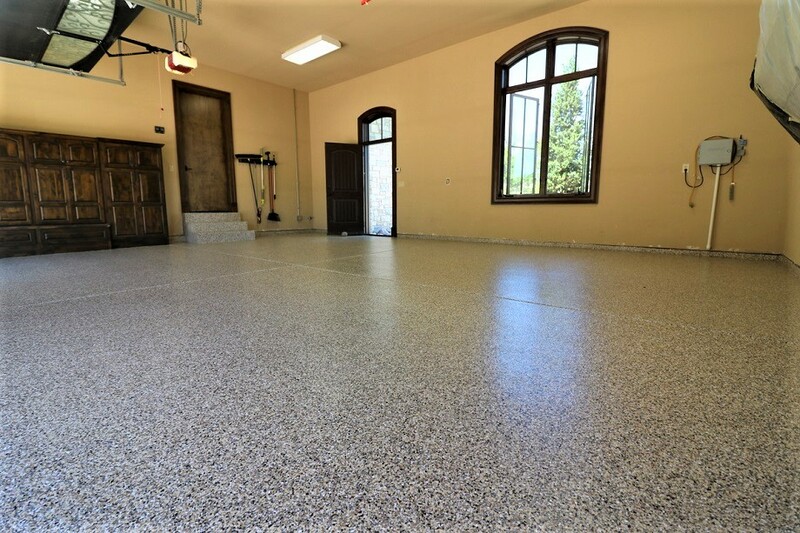 Sorry to disappoint, but it is absolutely one of the most economical flooring options for garages in the Indianapolis, IN area. 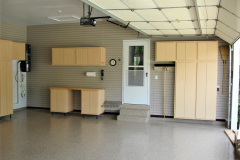 The cost of garage floor resurfacing or refinishing will vary based on several factors. The size of the job is, of course, one of the main influential factors. 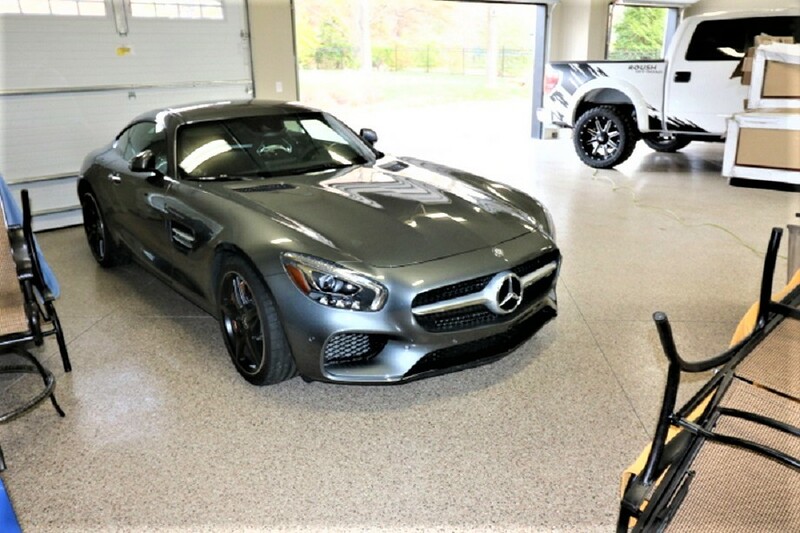 The larger the garage space, the higher the cost. 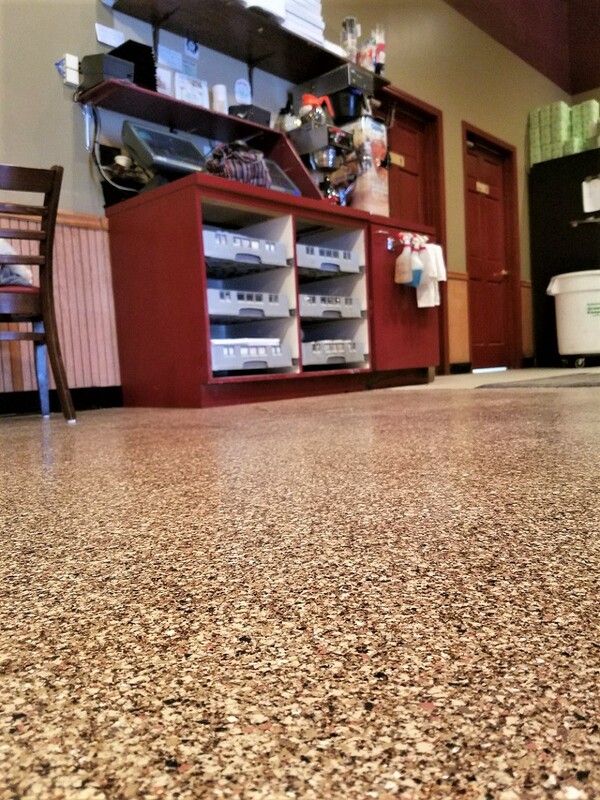 The type of coating used and any customization involved will also determine costs. Surface preparation and repairs may incur additional costs, too. Garages can be more than just industrial and utilitarian. 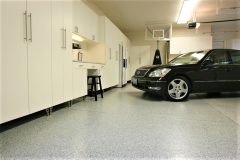 There are many design options that can make a garage floor beautiful and resistant to damage. 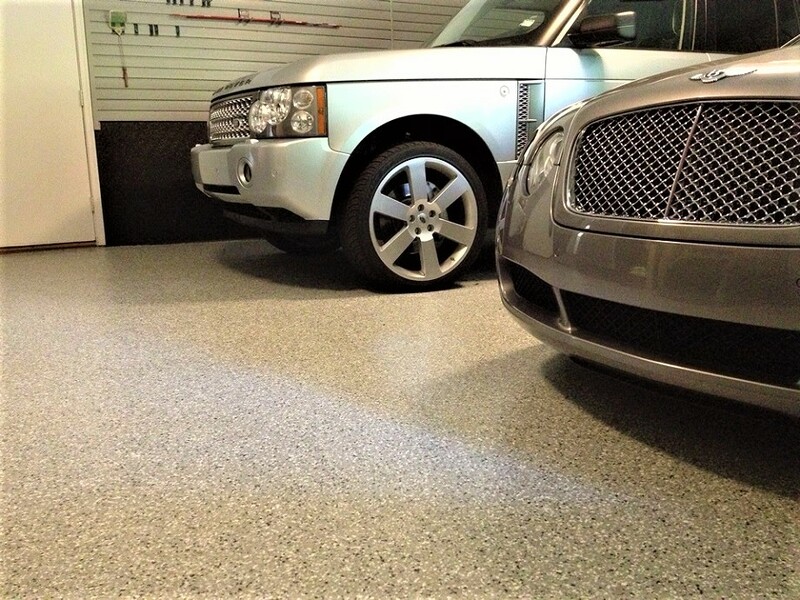 Epoxy flooring garage is one of the most durable types of resurfacing options perfect for indoor use. 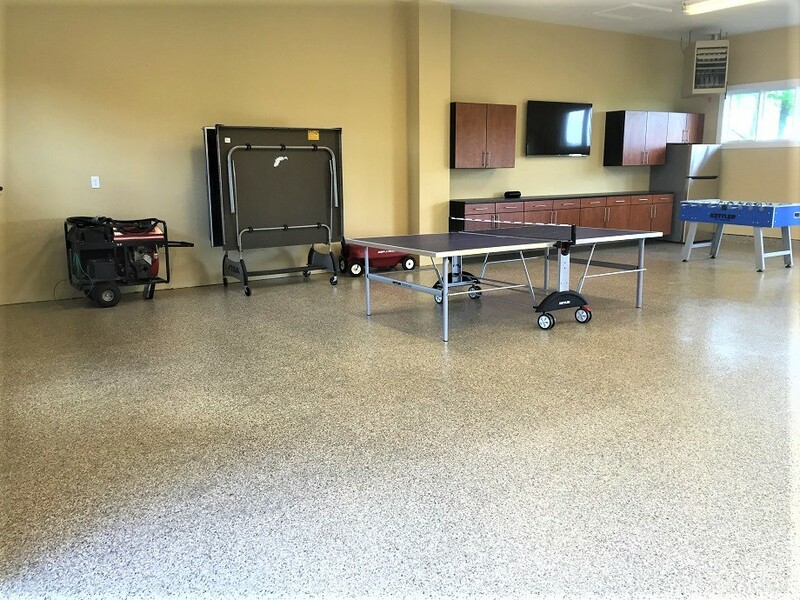 Just a thin layer of the material is enough to restore the existing slab while giving it a brand new look and a longer lifespan. 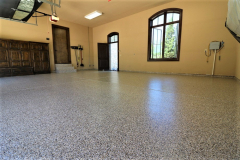 Polyurea polyaspartic coating, as epoxy alternative, also does the same thing. They both produce seamless surfaces that is available in various colors. 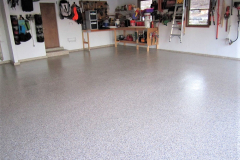 One way you could customize a garage epoxy or polyurea flooring is by adding paint chips. These come in flakes and in smaller, itty bitty pieces, depending on your preferences. It can be a single color or a mix of different, complementary shades. The great thing about this is that the floor acquires a look similar to granite and terrazzo. Custom scoring, engraving, and expansion joints can also be added to make the garage floor look more customized. These are great for increased traction and grip. Invest on appealing and durable garage flooring at an affordable cost. Indianapolis Concrete Artisans get a lot of calls regarding interior and outdoor concrete enhancements. 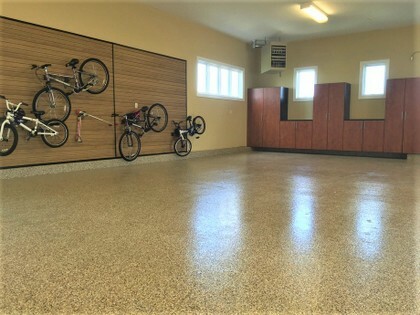 Concrete garage floors deserve as much attention as any other floor in the house. 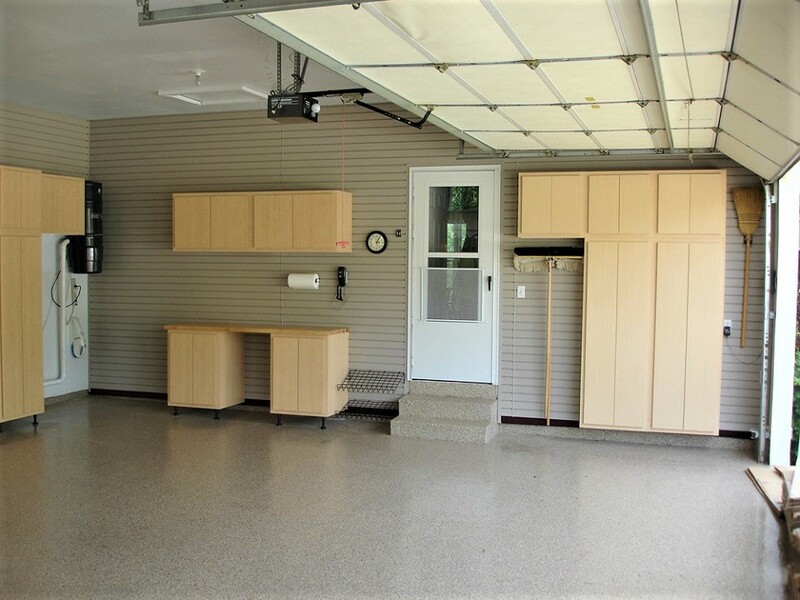 We offer decorative coatings that are meant for use on garages. 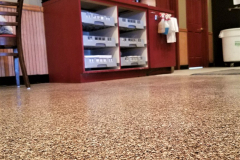 These are resistant to stains, abrasion, chemical spills, impact, and more. Our highly trained staff will assist you from concept to completion. 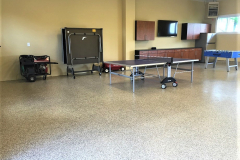 Our level of service sets us apart from other concrete contractors in Indianapolis, IN. Call or email us today. Let’s discuss your ideas, inquiries and quote requests so we have a better understanding of what you want to achieve.